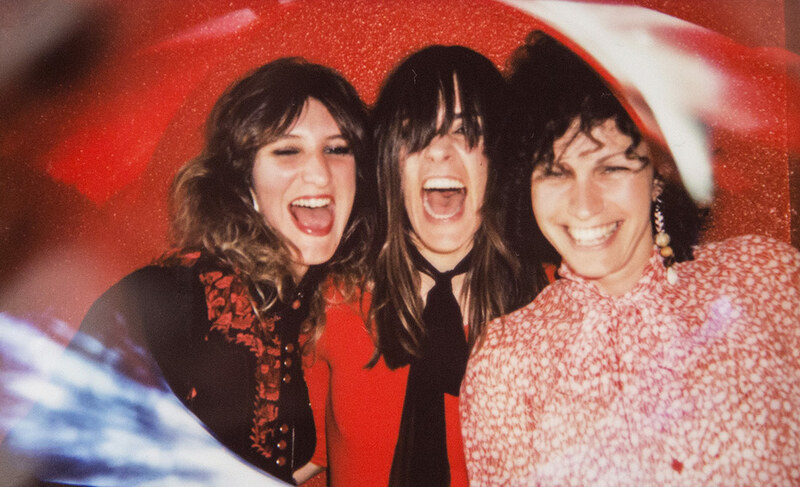 Marina Pérez, Olaia Bloom and Maika Makovski form The Mani-las, a new and explosive rock and roll band that lands in the music scene with 2:30 songs of wild rhythm and sparkling attitude. Melodies and chorus that invite to sing, a repertoire straight as a punch and tons of fun, as if in a pajama party, are the ingredients with which this power trio want to break even Frankenstein´s screws. The band was formed almost by coincidence in 2017, when Maika and Olaia meet in the city of Manila to give a concert. Once back, they decide to record a single He´s got the Power (originally of The Exciters). They don´t hesitate to call Mariana and complete this power trio, so necessary nowadays. Since then, they’ve gone with the flow, they’ve gone into the studio and since last autumn we can enjoy their first and energetic tour together. Mariana Pérez -of Sonic Trash, Rubia and Cora Bloom- is in charge of the drums; Olaia Bloom -of Las Culebras and Cora Bloom- is in charge of the guitars; and the singer and actress Maika Makovski puts her voice and brings the bass guitar to life. Together, they assure to make us tremble in the mood of punk rock, rock and roll, art rock… whatever it comes.